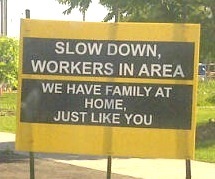 Workers Have Families, Too | Normative Signs: The Poetry of "Ought"
Here’s a nice emotional plea, aimed at getting drivers to slow down in a construction zone. 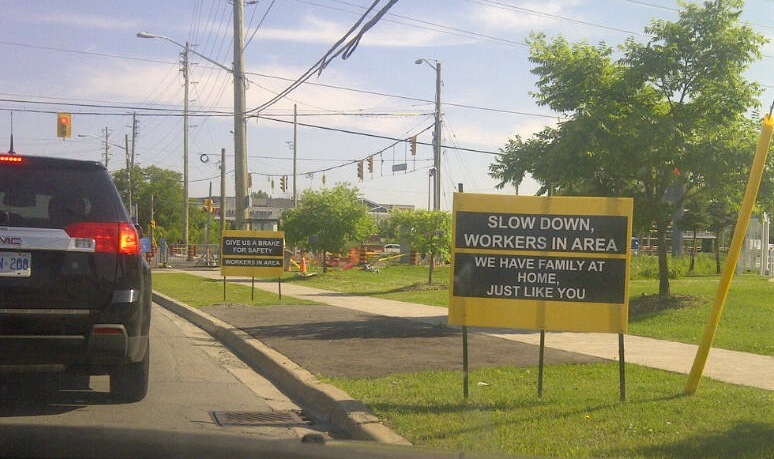 The picture was taken in Markham, Ontario (just outside Toronto). Thanks to Charles for the photo.